Thanks for stopping by and visiting our web site. 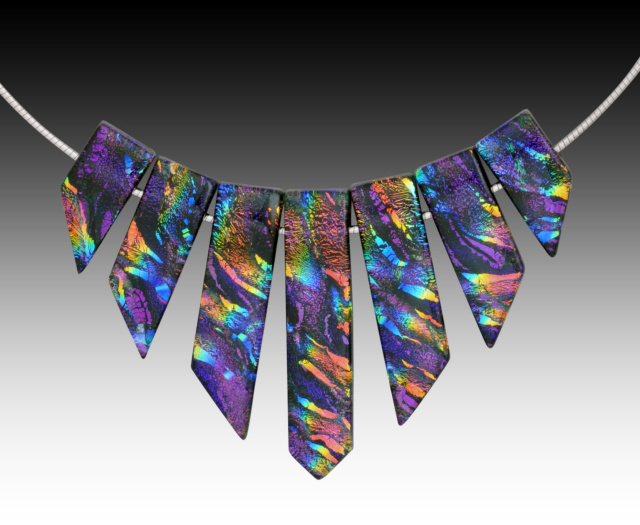 We've been working with glass since the mid 1970's and over the last decade or so, we've developed a line of fused glass jewelry that just seems to get better all the time. We love making it and it sells like crazy because people just seem to love our work. We supply over 20 museum shops around the country and many of the top galleries and stops from almost every state. We sell to the trade only and if you are a brick and motar store five us a call! We'll make it very easy for you to get started. If you are a consumer and don't have a store, send us and email and we'll be happy to direct you to a retailer near you or help in any way we can. Our studio is located just outside Asheville,N.C.in the scenic Blue Ridge mountains. to place your order or request our new catalog. Copyright © 2013 Renaissance Glass Inc.